Also, they will be giving away three amazing gift packages (valued at $200) featuring products from each sponsor! Hyland's Health: This is a company that you know we love and use their products regularly in our home. They feature numerous type of healthy homepathic remedies for babies, kids and adults! Ella's Kitchen: If you have a baby, then you know all about finding the best baby food! Ella's Kitchen features 100% USDA certified organic baby food and snacks that make mom and dad's lives a little easier! 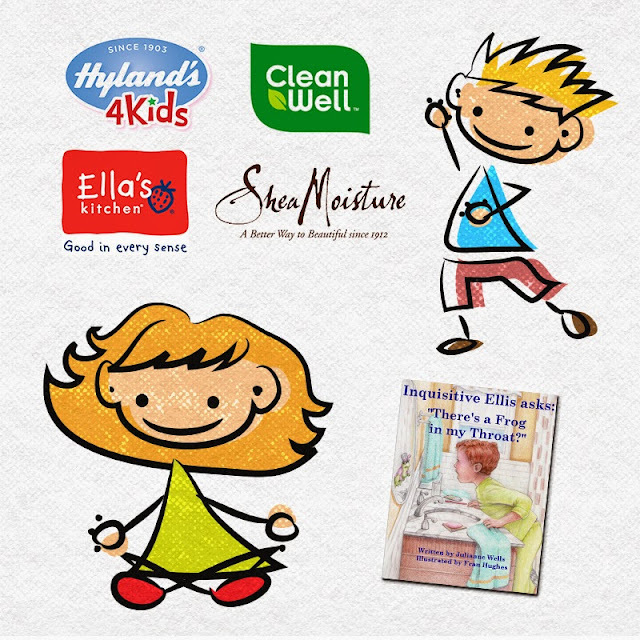 CleanWell: Keeping our families healthy involves keeping our homes clean and free of germs. CleanWell features a botanic cleaning line that is free of dangerous and harsh chemicals yet effectively eliminates 99.9% of harmful bacteria. SheaMoisture: Part of keeping healthy, also involves our skin and hair. SheaMoisture produces a line of skin and hair care products for little ones that is made with natural and certified organic ingredients and effective at keeping little ones' hair and skin feeling clean and healthy. Inquisitive Ellis: This is a really nice children's book about a little boy learning the difference between figurative and literal phrases in the world around him. Definitely one that is important to teach our children to help them be emotionally healthy as they grow and learn about the world. Ready to RSVP? Visit the Stay Well Strategies 4 Kids Twitter Chat page and RSVP today!